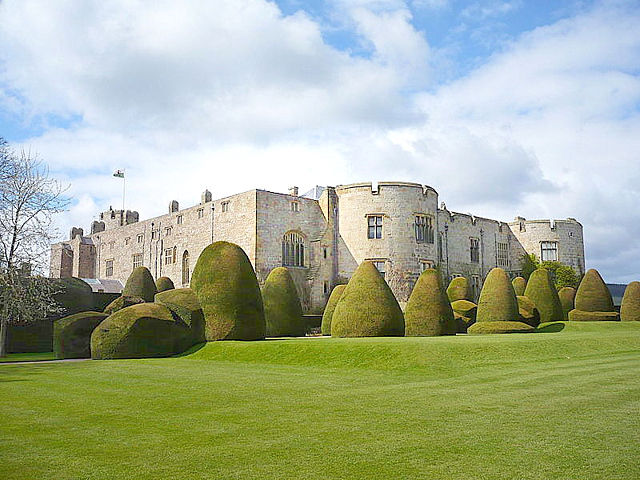 Chirk Castle was built in 1295 by Roger Mortimer, 1st Earl of March as part of King Edward I's chain of fortresses across North Wales. It sits on a hilltop with views over the valley below. It was completed in 1310, and is the last Welsh castle, from the reign of Edward I, still lived in today. It was the administrative centre for the Marcher Lordship of Chirkland. It is a late 13th century stone quadrangular fortress, with a curtain wall and simple arched gateway flanked by drum towers. It has three central towers. In 1595 the castle was bought by Thomas Myddelton for £5,000. His son, Thomas Myddelton of Chirk Castle was a Parliamentarian during the English Civil War, but became a Royalist during the Cheshire Rising of 1659. Following the Restoration, his son became Sir Thomas Myddelton, 1st Baronet of Chirk Castle. During the 1930s the Castle was home to Thomas Scott-Ellis, 8th Baron Howard de Walden, a prominent patron of the arts and champion of Welsh culture. The Myddelton family resided at Chirk Castle until 2004. Lieutenant-Colonel Ririd Myddleton was an extra equerry to Queen Elizabeth II from 1952 until his death in 1988. It is now in the care of the National Trust but the Myddleton family still own and work much of the estate. a 14th-century medieval tower and dungeon, known as Adam's Tower. The dungeon is on two levels and a number of upper rooms showing the 5m thick walls, two of which contain 'murder holes' through which material could be poured on to anyone trying to batter or burn down the doors below. The 18th-century parkland provides a habitat for rare invertebrates and contains many mature trees and also some splendid wrought-iron gates, made in 1719 by the Davies brothers. 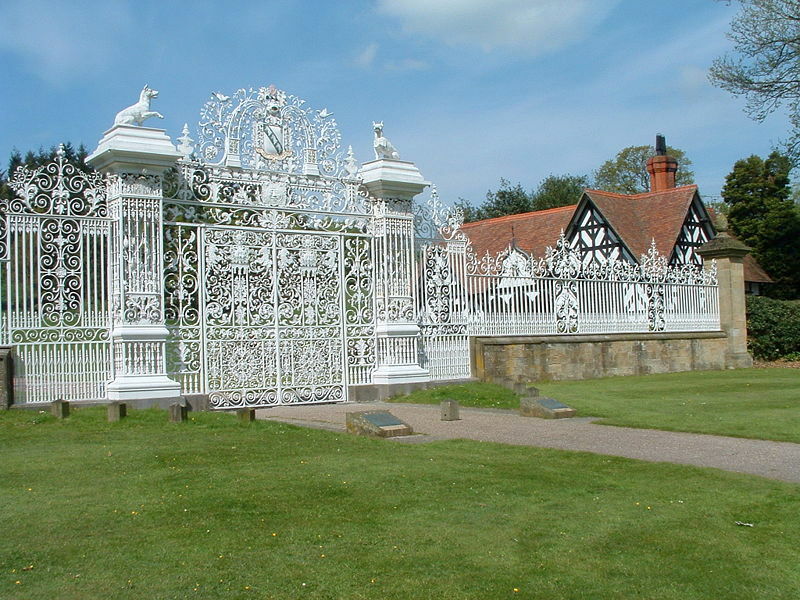 The gates, which has the coat-of-arms of the Myddleton family, originally stood a little way in front of the main castle gate but was moved to its present position in 1770 during landscaping of the park. 1 mile off A5, 2 miles west of Chirk village. Signposted off A483. 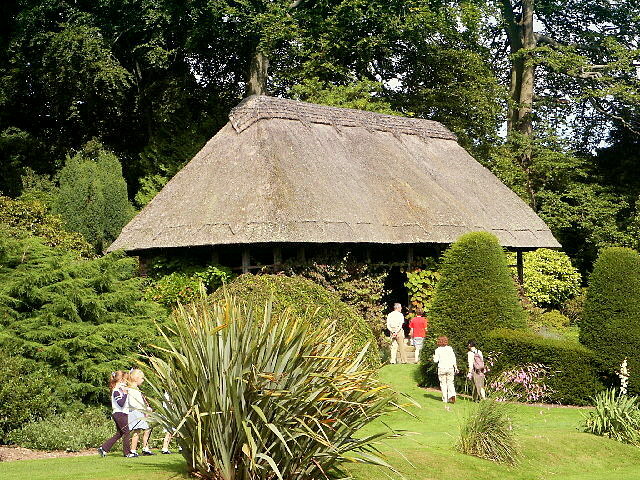 Mini tea room at castle. Tea room and kiosk at Home Farm visitor cetnre. National Trust property who have restrictions on commercial photography. Other Restrictions: One wheelchair user at any one time on first floor. Children Facilities: Baby changing facilities; family activity rooms; play area; giant family games in garden; children's quiz/trail and tracker packs for woodland walk.